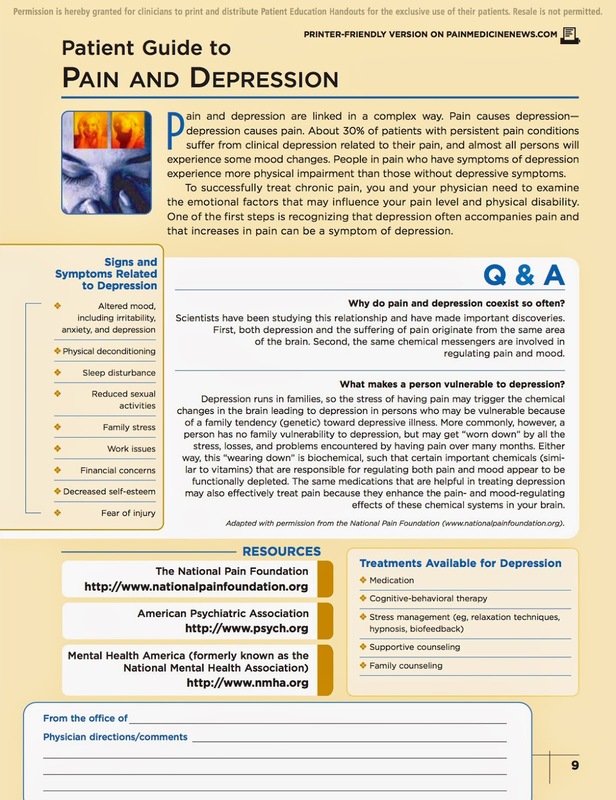 In light of the suicidal death of Robin Williams, and the news of his problems with depression and Parkinson's Disease, it seems appropriate to revisit the connection between chronic pain and depression. So today, I am sharing a patient guide from Pain Management News about this subject. If you would like to print a copy out for yourself, click here. Click on the image there to obtain a printable copy.